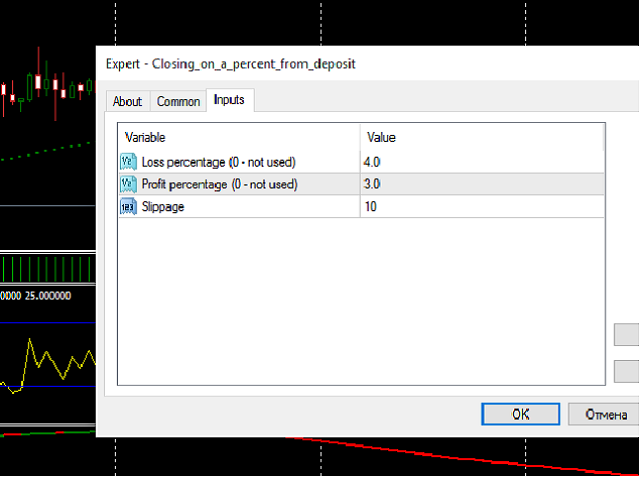 Closing on a percent from deposit is an Expert Advisor for closing any order placed manually or by other experts upon reaching a profit or loss as a percentage of the deposit. Perfect for brokers which do not allow the stops to be placed very close to the price. The EA monitors all market orders. The EA can be attached to any chart of any currency pair.